Independence day : Why do Moroccans celebrate the 18 of November ? Although the kingdom was proclaimed an independent state on the 2nd of March, every year; Moroccans celebrate independence on the 18th of November. The latter commemorates King Mohammed V accession to the throne and his notorious speech delivered to announce the end of the French control. 51 years ago Morocco was proclaimed an independent state going through a series of negotiations with the French administration. After returning from exile, Sultan Mohammed ben Youssef did everything to build a modern independent state, transforming Morocco into a constitutional monarchy with a democratic form of government. Indeed reforms took place in the newly-freed nation led by the Sultan who was later called a King. Although, Moroccans had to work hard after independence, they made sure to celebrate. And there lies a turning point in Morocco’s history. While the kingdom is supposed to commemorate on the 18th of November its independence, our grandparents did the same but on the 2nd of March. Accordingly, Mohammed V has conducted further negotiations for full independence culminated in the French-Moroccan Agreement signed in Paris in 1956 on the Second of March. But why do Moroccans celebrate the country’s independence day on the 18th of November ? Basically, the date makes us think of the Feast of Throne celebrated during the reign of Sultan Mohammed Ben Youssef. He was named a Sultan of Morocco on the 18 of November 1927 to be dethroned on the 20th of August 1953 by the French. The day also marks a big historical day for Moroccans in the 50s. Based on the account provided by «Morocco Since 1830 : A History» (Edition 2000) written by C.R. 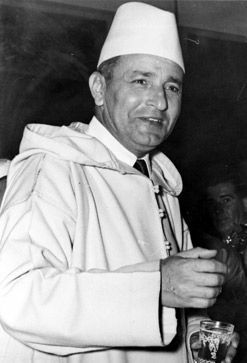 Pennel, King Mohammed V delivered his first speech as head of an independent nation on the same day. «On 18 November 1956 Sidi Mohammed made his first speech at a Fete du Throne in an independent state». 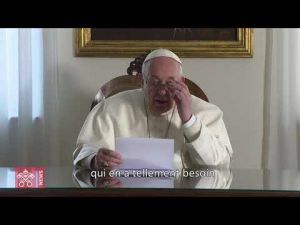 In his speech, the king addressed Moroccans stating : «Today we celebrate the Feast of the Throne that links us to our glorious past and the most brilliant epochs of our civilization. Thus these three national festivals recall for us memories of glory, victory, rebirth and liberty». The Sovereign’s notorious speech commemorated his accession to the throne and also the long-awaited independence. Other sources have referred to the same day known mostly for the Sultan’s speech. «The atmosphere was impassioned on the November 18, when the Sovereign announced, in the speech commemorating the 28th anniversary of his accession to the throne, the end of the protectorate and the start of an era of freedom and independence», states the 8th volume of «La Grande Encyclopedie du Maroc» ( Premiere Edition, 1988). 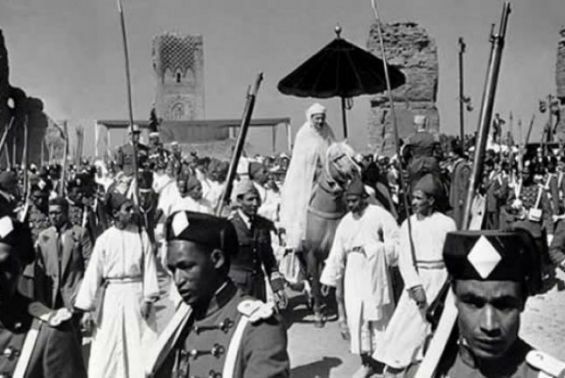 Although, Mohammed V’s speech was moving enough to touch Moroccans, independence was celebrated on the 2nd of March until the beginning of the 60s. According to «Mémoires du Patrimoine Marocain» (6th volume, Nord Organization editions, 1986), «Moroccans under the reign of Sultan Mohammed V celebrated independence on March 2 of each year but with the accession of King Hassan II on March 3, 1961», it all changed. The same book states that this date changed to the 18 of November starting from 1962. Chosen by the late king Hassan II, the date was set to pay homage to his father Mohammed V, to commemorate his glorious speech and remember his great efforts to free Morocco.